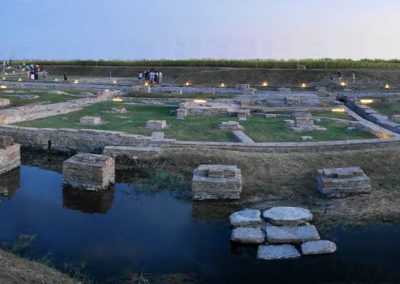 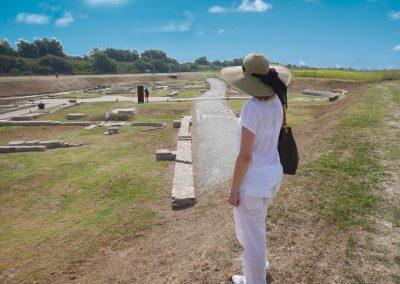 The archaeological site of the Ancient Port of Classe, first stop of the Archaeological Park, is developed around the Church of Sant’Apollinare in Classe: it was one of the most important harbour during the Roman and Byzantine period. 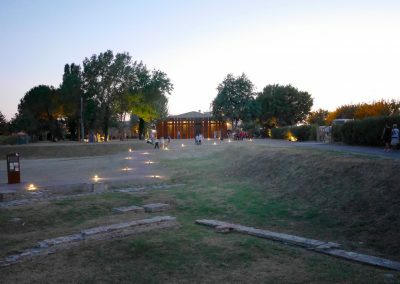 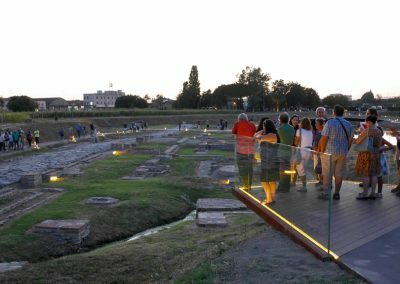 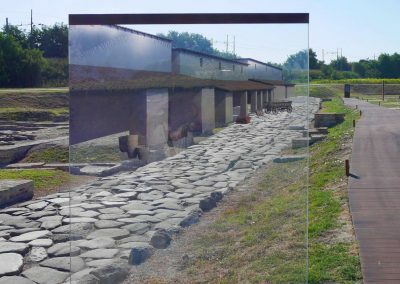 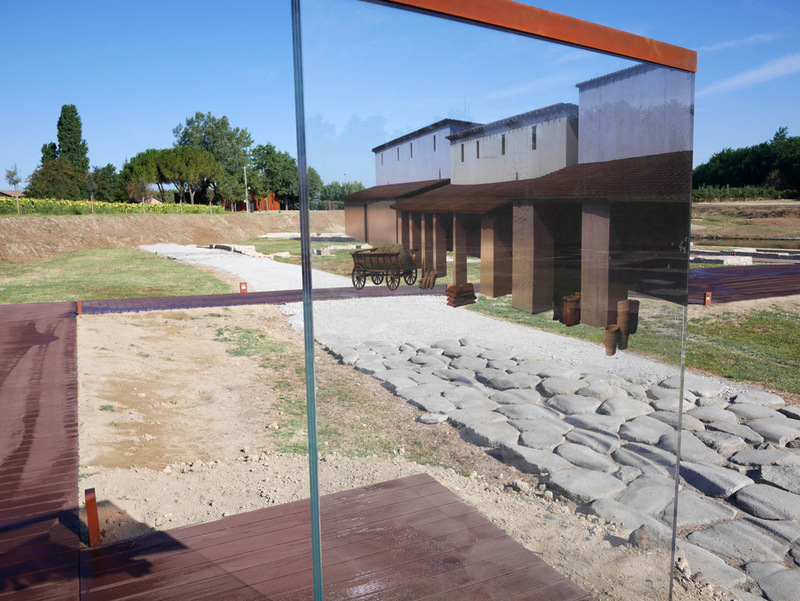 Streets and buildings, which characterize this project of an open air museum, are from the V century: the most important period of Ravenna and Classe. 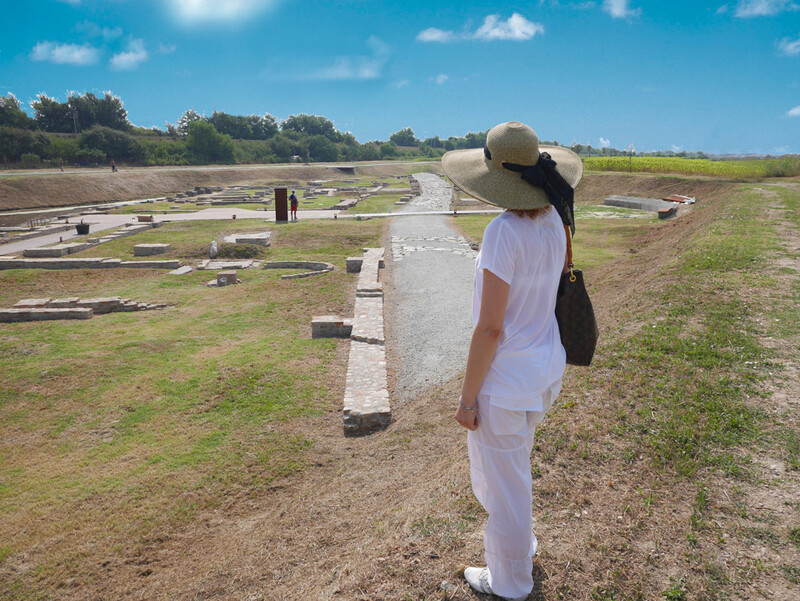 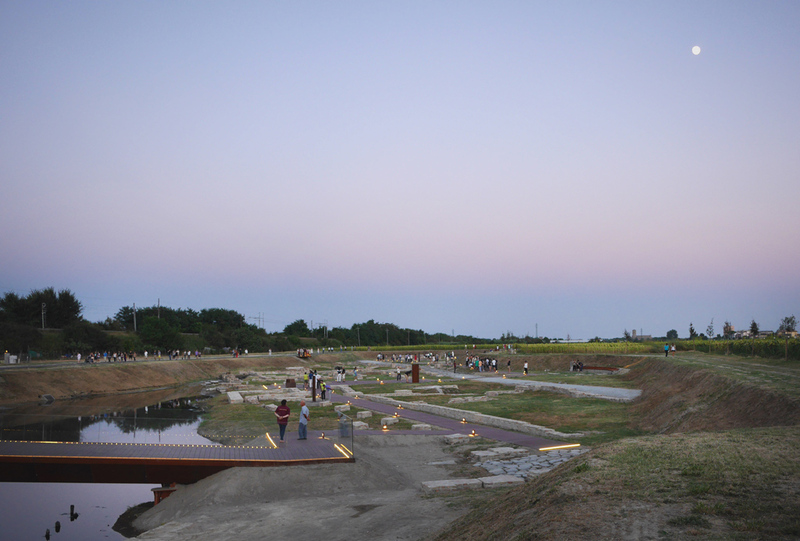 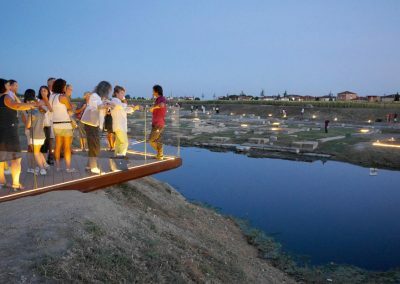 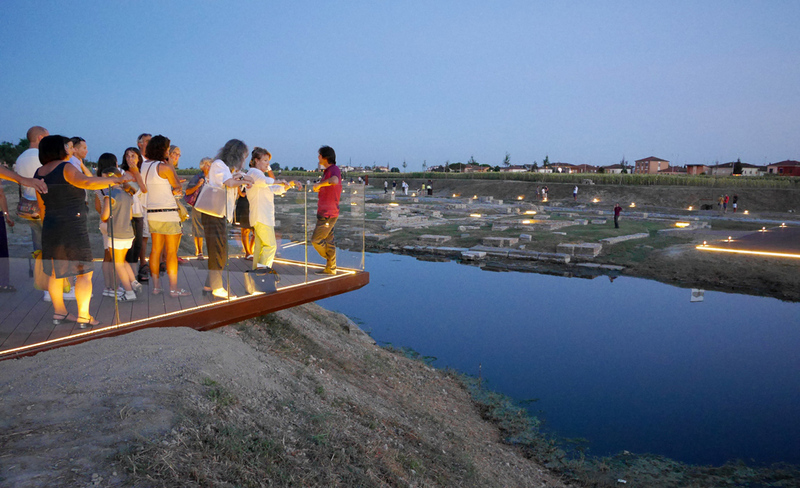 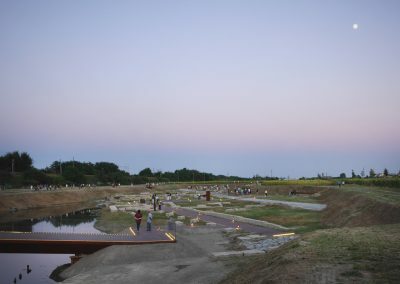 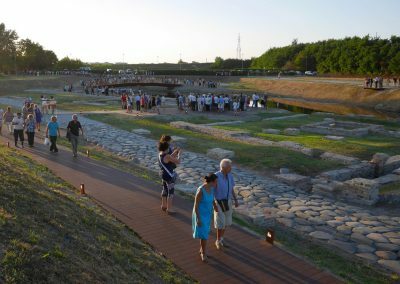 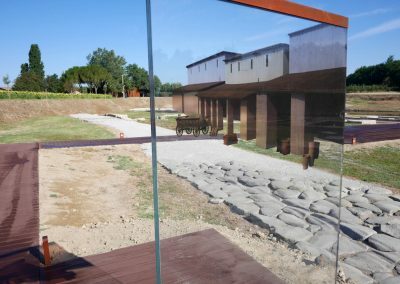 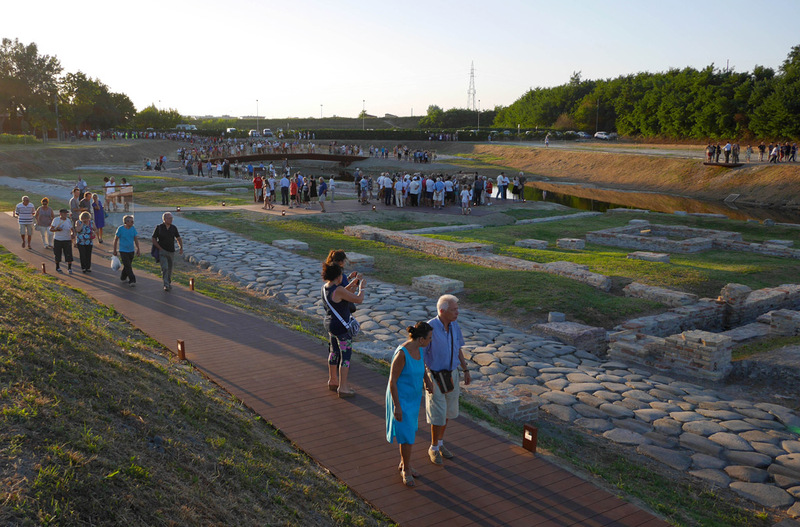 The area of the archaeological site is very big, because of its importance during the those centuries. The Harbour of Classe was one of the biggest commercial harbour: especially in 540 when it traded with Africa and the East. 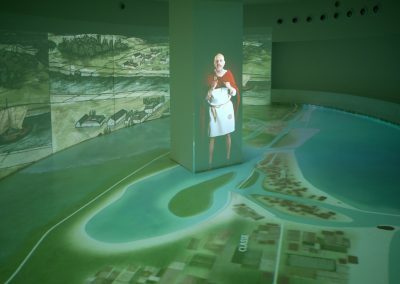 The visit begins with the Visitor Center: here an ancient merchant explains the history of the town using projections on wall and on the floor. 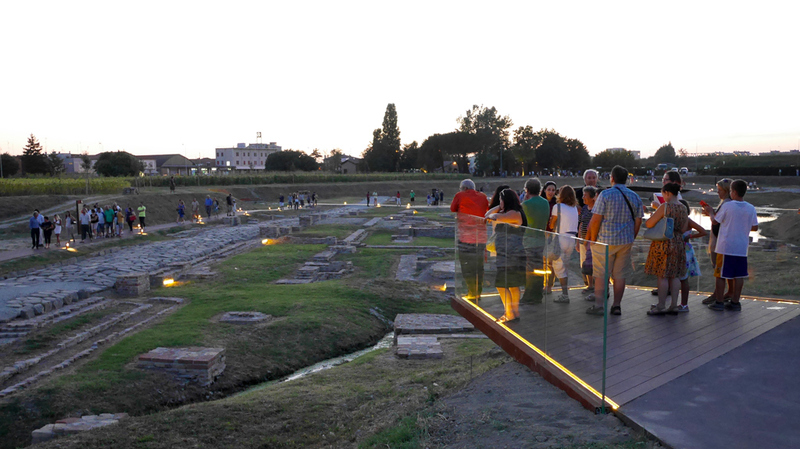 Then, the visitor walk nearby the original warehouses and the “basolata” streets (the typical street made of stone) which cross the area and where 10 illustrative panels with thematic researches and 5 perspective panels show how the all area was and allow the visitor to fuse together with the atmosphere of that period.